A topic includes a pillar page on your main website and and subtopic keyword content that links visitors back to this page. Linking supporting content back to your pillar page to establish authority for your topic in search engine results. Please note: external URLs must have the HubSpot tracking code installed for its internal links to be validated. In the slide in panel, enter a subtopic keyword, then click Research Subtopic Keyword. 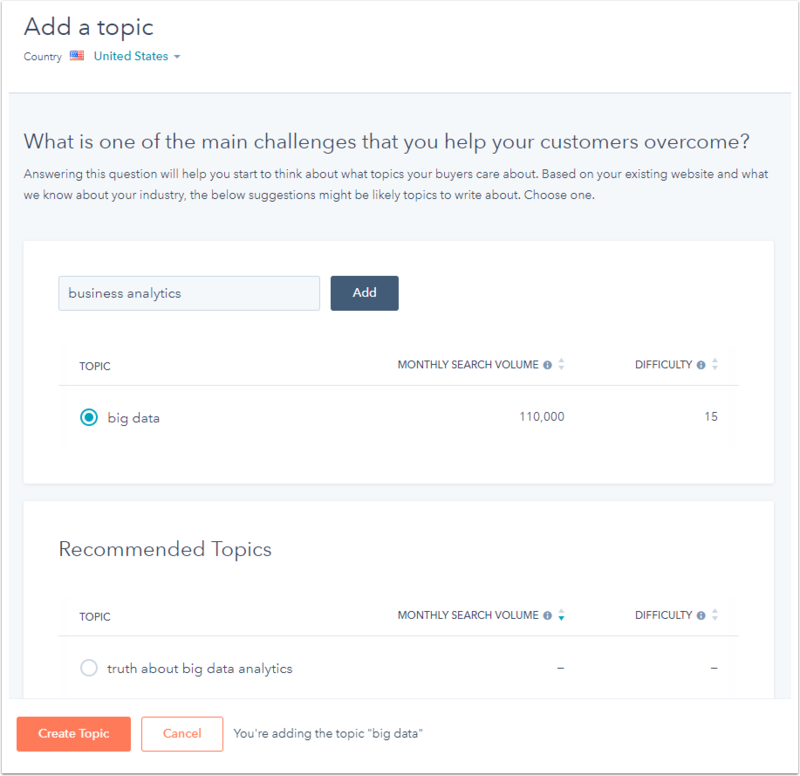 You'll see metrics for the average monthly searches for the subtopic keyword, along with a listing of similar subtopic keywords. Use the Content type dropdown menu to select the content type: blog post, landing page, or website page. Please note: each piece of content can only be attached to one topic or subtopic keyword in the content strategy tool. Click a subtopic keyword in the SEO tool. Click a subtopic keyword to open the panel.